Suzie Imber is an Associate Professor of Planetary Science at the University of Leicester. She specialises in studying space weather; understanding the impact of the solar wind on the magnetised planets, in particular the Earth and Mercury. Suzie is a Co-Investigator on the X-ray spectrometer on board the joint ESA/JAXA BepiColombo spacecraft due to arrive at Mercury in 2025. 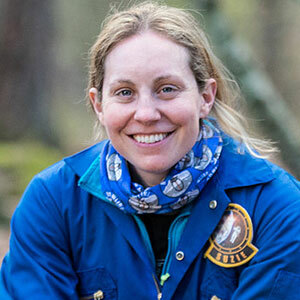 Suzie was also the winner of the recent BBC 2 series Astronauts: Do You Have What it Takes?, in which twelve candidates were put through astronaut training. Suzie was an England U21 lacrosse player, an elite rower, and is now a high altitude mountaineer. Only one spacecraft has ever orbited the planet Mercury, NASA’s MESSENGER, and data from that mission has brought both incredible insights into Mercury’s formation and evolution, and more intriguing questions about this mysterious planet. Suzie will discuss the latest findings from MESSENGER, and the open questions to be addressed by the next mission to Mercury, the joint European/Japanese BepiColombo spacecraft. Bepi successfully launched from French Guiana in October 2018 and will fly once past Earth, twice past Venus and six times past Mercury, collecting data about these planets, before arriving into orbit around the planet Mercury in December 2025.